Nonwoven bag, made off paper, white, with “Do not eat” printed on it. Size ca. 48 x 25 x 4 mm. Qty. 500, 2.500 or 5.000 pcs. 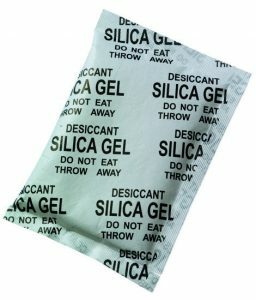 Silica Gel Non-food bag, 500, 2.500 or 5.000 pieces, weight 2g.